National Hospital Week, May 7-13, celebrates all of those who provide and support patient care at UF Health Shands. 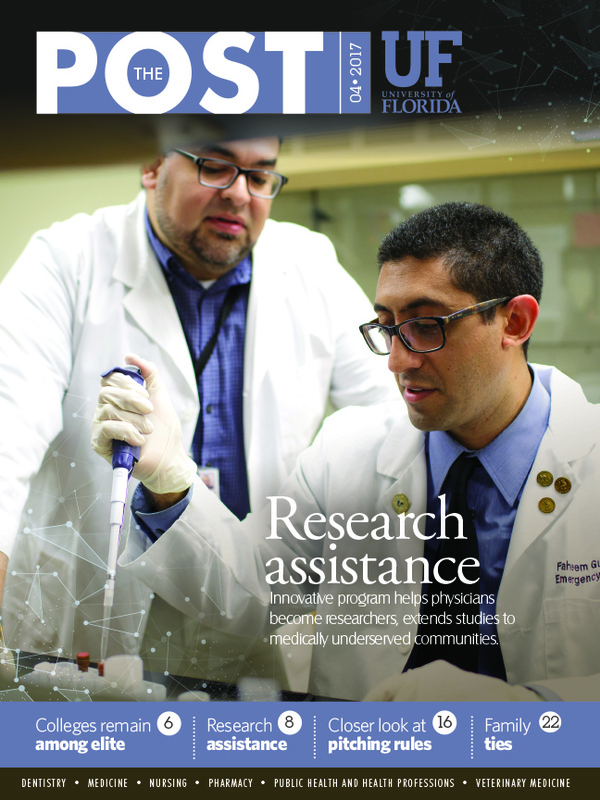 Through everyone’s commitment to this mission, UF Health Shands Hospital has become the state’s leading health care referral center, drawing patients from all 67 Florida counties, from throughout the Southeast and from many other countries. National Hospital Week will feature a variety of health-related and fun activities. The fourth annual UF Health Integrative Medicine Conference on Botanicals and Supplements: Safe, Sensible and Effective Use will demonstrate how to use natural products in combination with prescription drugs for patients with specific disease conditions. The preconference workshop will be from 8:15 a.m. to 3 p.m. May 5 and the conference will be from 7 a.m. to 4:30 p.m. May 6 at the George T. Harrell, M.D., Medical Education Building. For more information and to register, visit integrativemd.cme.ufl.edu. The UF Health Shands Outpatient Pharmacy now has expanded hours at both of its locations. The pharmacy in the lobby of the UF Health Shands Cancer Hospital is now open from 8:30 a.m. to 7 p.m. Monday through Friday. It is closed on weekends and holidays. The pharmacy in the UF Health Shands Hospital Atrium is now open from 7 a.m. to 7 p.m, Monday through Friday. and from 9 a.m. to 1 p.m. on weekends and holidays. Celebrate UF Health Shands’ nurses during National Nurses Week, May 6-12. This year’s theme is Nursing: The Balance of Mind, Body and Spirit. It promotes the importance of self-care practices and healthy lifestyle choices for nursing care professionals. The theme has five segments: Rest, nutrition, spirit, extracurricular activities and exercise. Throughout the week, nursing and patient care staff will be honored for their dedication to patients and teams. Daily events will promote healthy habits for all health care workers. More details will be available on the Bridge.